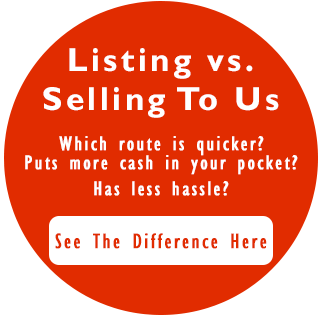 So, you don’t HAVE to sell your house fast in Indianapolis, but you WANT to! Don’t let your current house hold you back from realizing your home sweet home. Many home owners today find themselves trapped in a house that needs some TLC. Have you been putting off major repairs or updates because you weren’t sure if you wanted to make your house your forever house? It’s hard to invest time, money and energy into a house you don’t plan on staying in for the long-term. If it’s time to move on and get that forever home, you have a few options available to you. Selling a fixer-upper through traditional channels (i.e. Real Estate Agents) is a viable option but it can be difficult and costly. Not all buyers want to buy a house and then roll up their sleeves or had over a large sum of money for rehab. Additionally, there will be an inspection and repairs will be required by the buyer. In some cases, repairs will be required by the buyer’s bank to get financing. With a traditional real estate agent, there will be commissions, closing fees and taxes. That’s money out of your pocket. Moreover, closing is usually 30 to 45 days. That’s not a lot of time in a competitive real estate market to find the house that is right for you! However, some buyers want a house that needs a little TLC! Working with a real estate investor is a great solution for home owners who find themselves in this situation. Working with a capable and multi-dimensional investor is ever better. At Ittenbach Capital, we’ve helped many home owners get out of that dated house and into their forever home. Beyond being able to buy your house for cash fast in Indianapolis, Ittenbach Capital has talented real estate agents working tirelessly on behalf of their clients. The process is simple. Ittenbach Capital will make a cash offer and purchase your house as-is with no repairs needed. We will set a closing date that works with your schedule, allowing you to take the time you need to find that perfect home. Closing on your current house a week before you close on your new home provides the money you need when you need it to close on your new home. Give us a call today at 317-731-2540 and let us help you get your forever home. Feel free to visit us online at www.ittenbachcapital.com or check us out at the Better Business Bureau. Ittenbach Capital is an accredited company with an A+ rating. You won’t find a better, more dedicated and trustworthy partner for your real estate journey than Ittenbach Capital, LLC. Don’t take our word for it, check out our testimonials page to see what other people thought of our services. 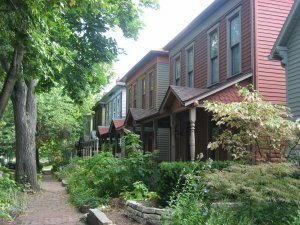 Sell Your House Fast In Indianapolis For Cash Today!